Summer is Maryland’s shining season. 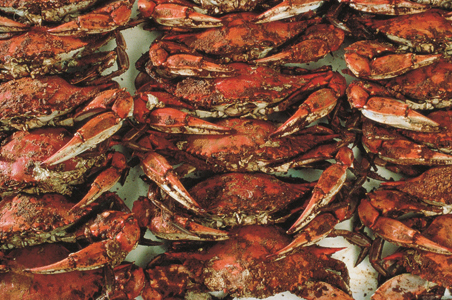 Warmer weather means getting outside and enjoying the more than 3,100 miles of coastline along the Chesapeake Bay and Atlantic Ocean, taking in the various outdoor street festivals, and cracking into some blue crabs. While it was hard to narrow it down, we’ve picked five of the best ways to see as much of the Old Line state as possible. Crossing the iconic Chesapeake Bay Bridge into Chesapeake country is almost like going back in time. Some of the oldest towns in Maryland are the bayside communities of Oxford, Easton, and St. Michaels that have been shaped by the traditions of farmers and watermen that continue today. The star of this region is St. Michaels, and there’s no better place to experience its refined elegance than at The Inn at Perry Cabin. Housed in a colonial mansion, the nautical-themed resort combines fine dining and luxury accommodations with an unmatched waterfront location. St. Michaels is also home to the Chesapeake Bay Maritime Musuem which holds the world’s largest collection of traditional Bay boats, and guest can even arrange to spend the night in their 1879 Hooper Strait Lighthouse. One of the best ways to enjoy Maryland in the summer is to go to one of its endless summer festivals. From food to music and the arts, there’s something for everyone. On May 18, try out the Maryland Craft Beer Festival in Frederick, where over 25 Maryland brewing companies will present over 125 varieties of finely crafted ales and lagers. The nation’s largest, free arts festival, Artscape, takes place in Baltimore from July 19-21. In addition to exhibits from fine artists, fashion designers, photographers, and craftsmen, there will be a full schedule of performing arts including dance, theater, and an appearance from the Baltimore Symphony Orchestra. For something a little more unique, practice your jousting skills at the Maryland Renaissance Festival in Annapolis from August 24 through October 20. Maryland is an American history mecca. The state was settled in the 17th century, and towns along the Eastern shore have been able to preserve historic buildings and artifacts from that era. Annapolis and the Chesapeake Bay will continue their three-year commemoration of the 200th anniversary of the War of 1812 and the writing of the Star-Spangled Banner through the Sea, Lakes & Bay: The Naval War of 1812 walking tour. On June 15, Francis Scott Key’s original Star-Spangled Banner song lyric manuscript will go on display in Frederick City Hall as a part of Flag Day festivities. 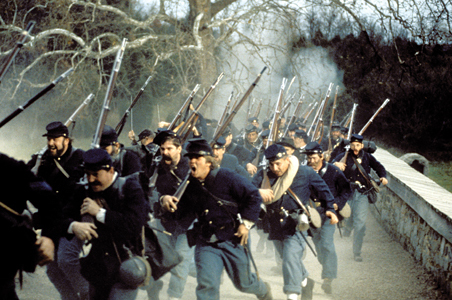 And for Civil War enthusiasts, Maryland is the home of major battles including Harpers Ferry, Antietam, and Sharpsburg. Take a drivable Civil War Trail to hear authentic stories about the war. In Maryland, “marine life” doesn’t refer to sea creatures so much as it refers to life on the water. Boating, fishing, and crabbing are a way of life in many cities along the Chesapeake Bay and the Atlantic Ocean. Kent Island, the largest island on the Eastern shore and first British settlement in Maryland, offers six diverse paddle boating trails and a strong harbor community for sailors and fisherman. 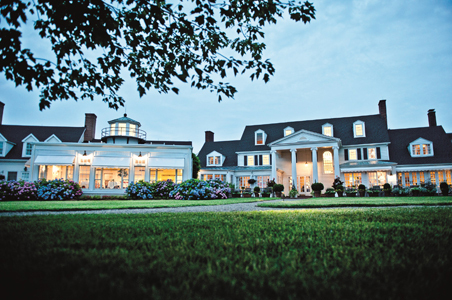 Visitors can visit Kent Manor Inn for a taste of life on the water; the property offers kayaks and canoes for guests to explore their one mile of waterfront. Of course, “marine life” also brings to mind the fantastic seafood Maryland has to offer. Be prepared to get your hands dirty at Harris Crab House & Seafood Restaurant with a dozen perfectly-steamed Chesapeake Bay blue crabs. 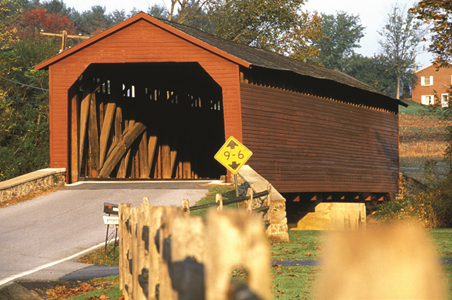 Maryland has tons of scenic byways that delve into areas rich with beauty, history, and culture. The Booth’s Escape journey charts the escape route of John Wilkes Booth, one of America’s most notorious assassins as he fled from Washington, DC. The Maryland portion of Harriet Tubman’s Underground Railroad follows an Eastern Shore byway plentiful with African-American heritage from Cambridge to Bucktown, where Tubman performed her first act of heroism by attempting to help an enslaved person avoid capture. Finally, although Maryland is famous for its seashore, adventure lovers can take comfort in the western part of the state that runs through the Allegheny Mountains. The 193 miles from Keysers Ridge to Cumberland offers hiking, white-water rafting, mountain biking, and world-class trout fishing. This entry was posted in corporate meetings, eastern shore, historic_inn, kent island, retreats, waterfront, waterfront restaurant, weddings and tagged Baltimore, Baltimore Symphony Orchestra, Chesapeake Bay, Chesapeake Bay Bridge, Francis Scott Key, maryland, Maryland Renaissance Festival, Star-Spangled Banner, Summer Travel. Bookmark the permalink.